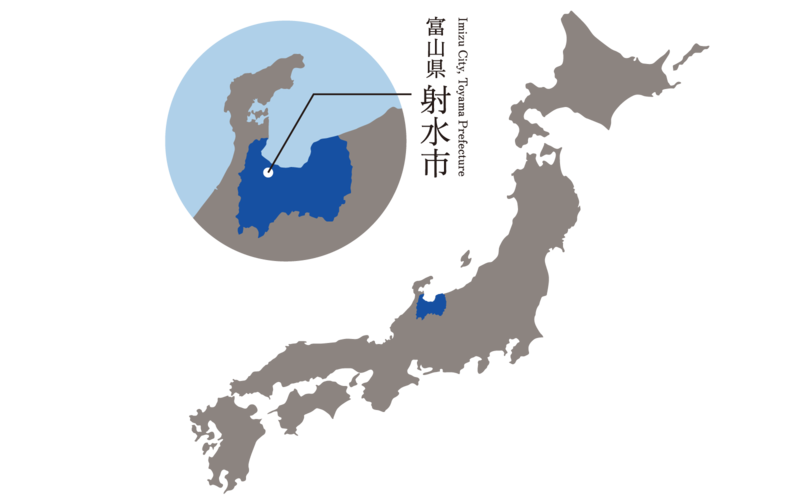 In recent years, the number of sushi restaurants in Imizu city, Toyama Prefecture has declined due to a lack of successors to take over such establishments. 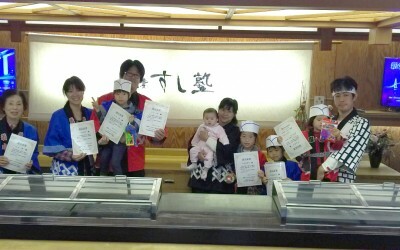 Shinminato Sushi Academy was founded to maintain and expand the “sushi culture” of Imizu city. Taste is determined by the toppings, the rice, and by how freshly the sushi was made. Seasonal seafood from Shinminato is the main topping. The carefully selected rice provides a subtle sweetness as it spreads through your mouth. You’re sure to enjoy making your own sushi! Sushi chefs bring the best out of each ingredient using techniques learned over a lifetime. 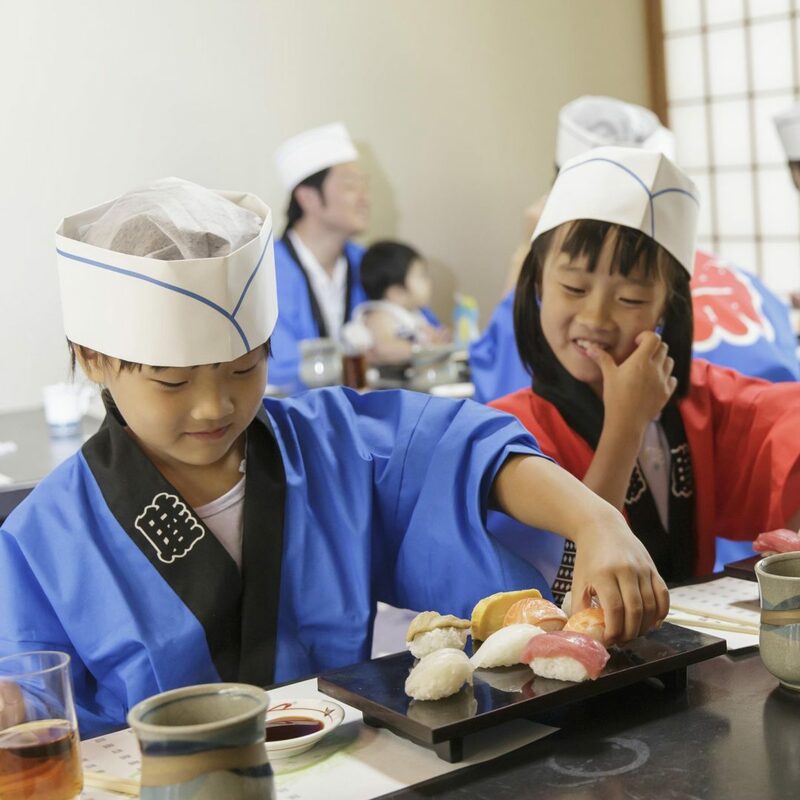 Their genuine passion for sushi making can even be tasted in their sushi. 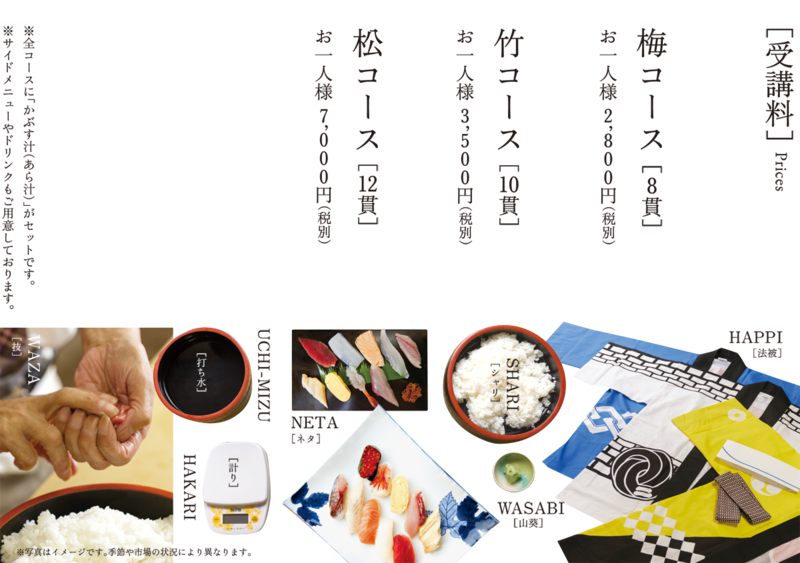 To allow you to experience real sushi mastership, we will start with basic sushi making instructions. 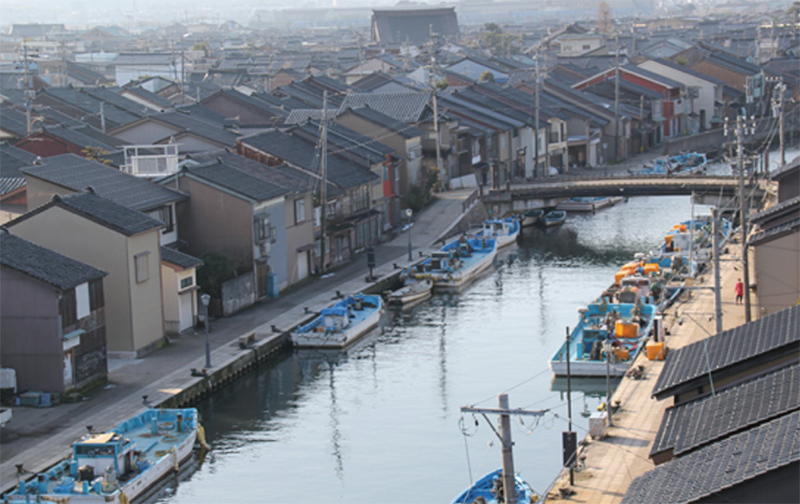 Imizu’s food culture was cultivated by the activities of local residents who have lived there for generations. 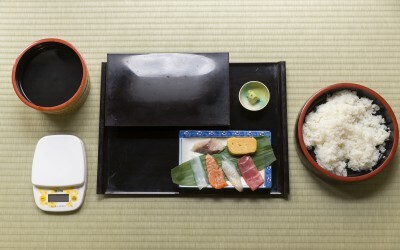 Not only will you enjoy the delicious taste of the sushi, you will also be able to experience the rich culture of Imizu in every bite. 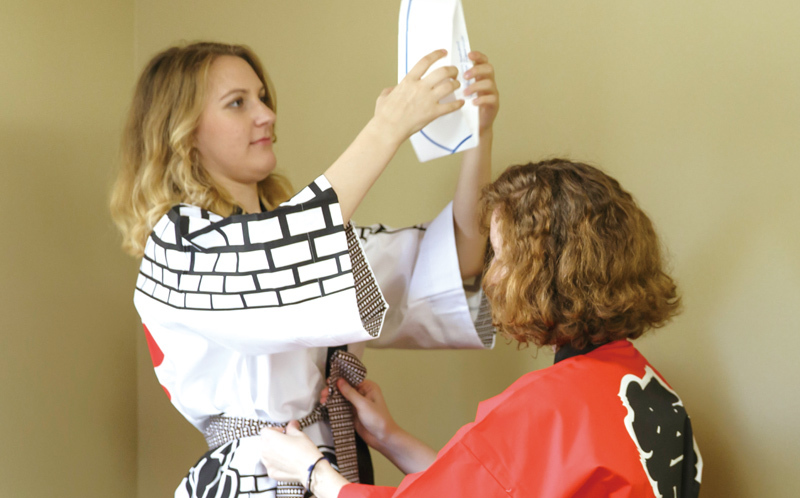 BECOME A REAL SUSHI CHEF. 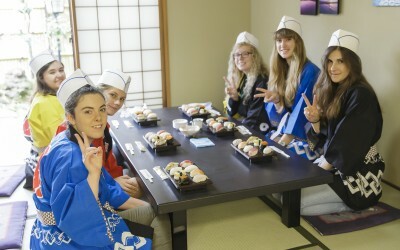 Shinminato Sushi Academy is a sushi restaurant where you can make your own sushi, and then eat it.Their genuine passion for sushi making can even be tasted in their sushi. 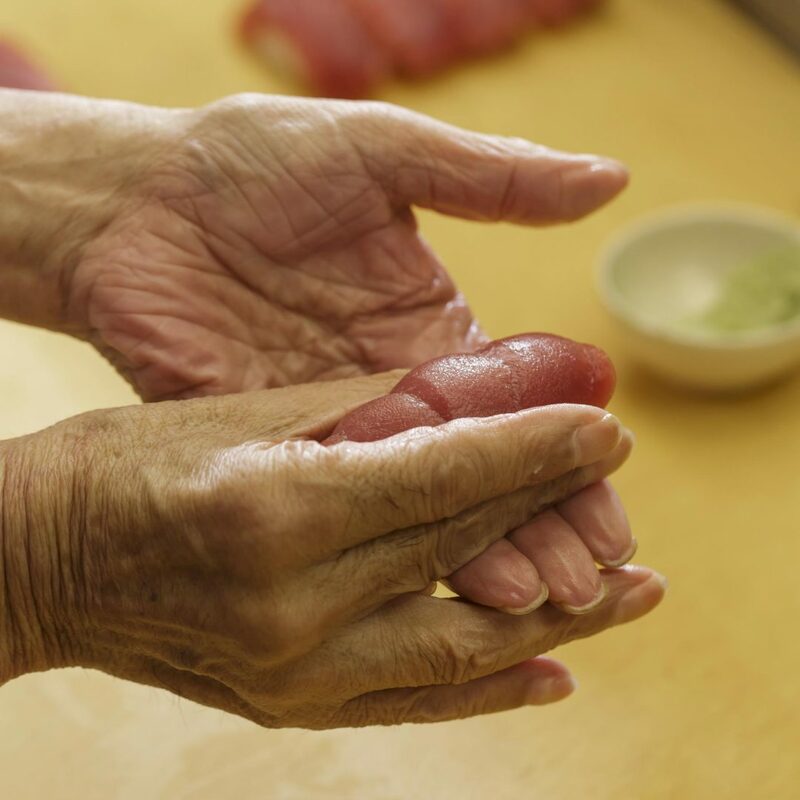 To allow you to experience real sushi mastership, we will start with basic sushi making instructions. Please contact us to make a reservation (a week before or earlier if possible).Tell us date and time (10 am－5 pm), number of people, and which course you would like. *Your course will take about 60 minutes. *Depending on the number of people and which course you take, the time required may change. We accept reservations for a minimum of 2 people and as many as 50. *If there are fewer than 5 people, you will be combined with another group participating at the same time. Ume Course (8 pieces of sushi) 2,800 yen, Take Course (10 pieces of sushi) 3,500 yen, Matsu Course (12 pieces of sushi) 7,000 yen *Tax not included *All courses include Kabusu-jiru (Miso soup with fish) *You can also order side dishes and drinks. Shinminato Sushi Academy is a sushi restaurant where you can make your own sushi, and then eat it. ［Changing clothes］ You’ll wear happi coats and paper hats. ［Washing your hands］ You’ll receive a short training course on food safety and hygiene. 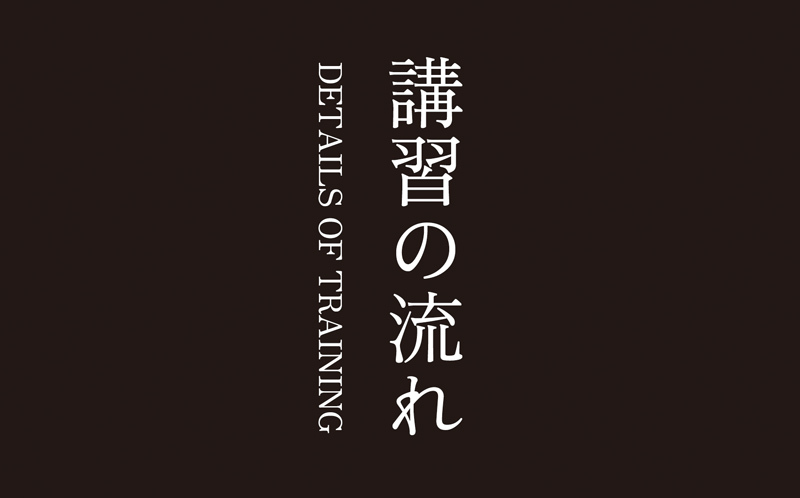 ［Training］ You’ll learn how to weigh and mold the rice. ［Changing clothes］ You’ll make your own sushi using fresh seafood. ［Tasting］ Enjoy the taste of sushi you have just made. Please contact us to make a reservation (a week before or earlier if possible). Tell us date and time (10 am－5 pm), number of people, and which course you would like. *Your course will take about 60 minutes. *Depending on the number of people and which course you take, the time required may change. 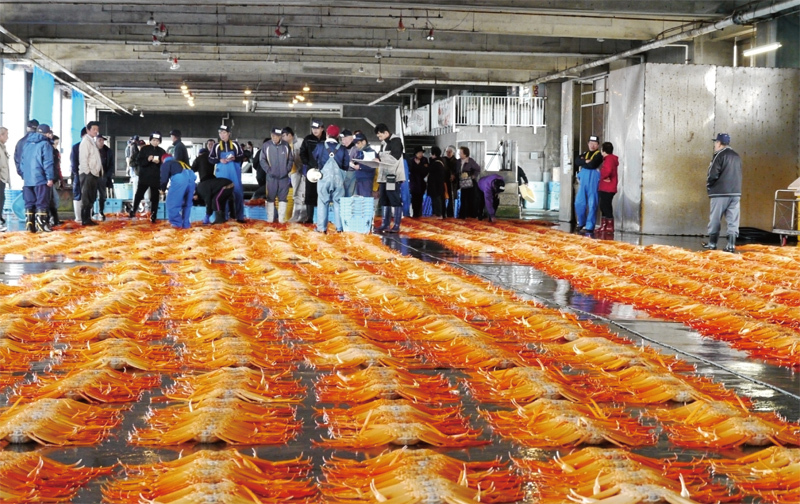 Delicious and freshly caught seafood arrive in Shinminato Port in all four seasons, including Japanese glass shrimp, known as “the jewelry of Toyama Bay”, as well as red snow crab, firefly squid, yellowtail and whelks. 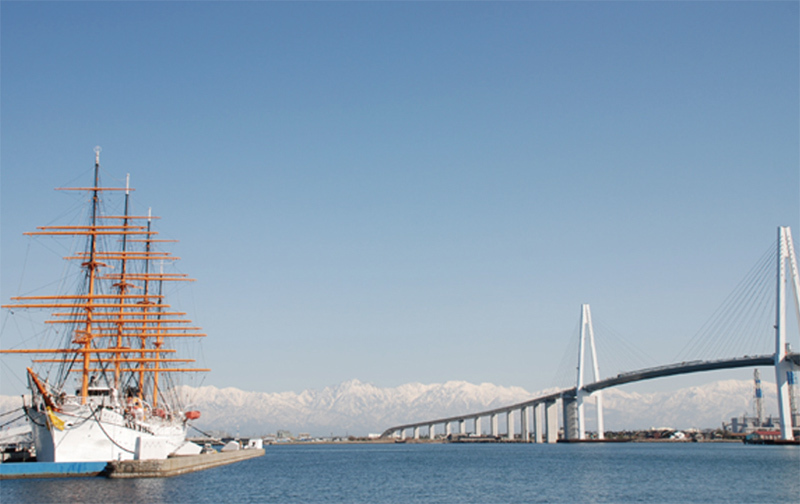 If you go to the beach, enjoy the refreshing sea breeze and a panoramic view of the Sea of Japan and the Tateyama mountain range, as well as the white sails of the Kaioh-maru, called the “Lady of the Sea”, and the beautiful arch of Shinminato Ohashi Bridge. 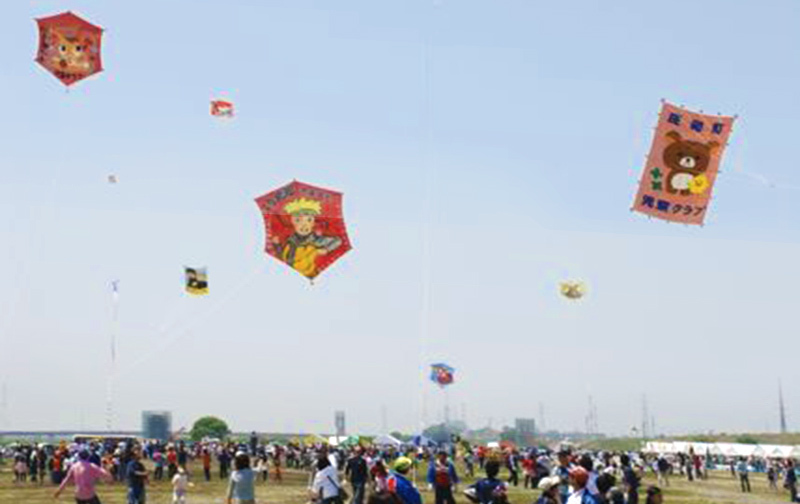 “Daimon Kite Festival” is done in hopes of children’s healthy growth.Please have a look at a group of kites where lots of unique and rich kites vividly color the sky of Sho River. 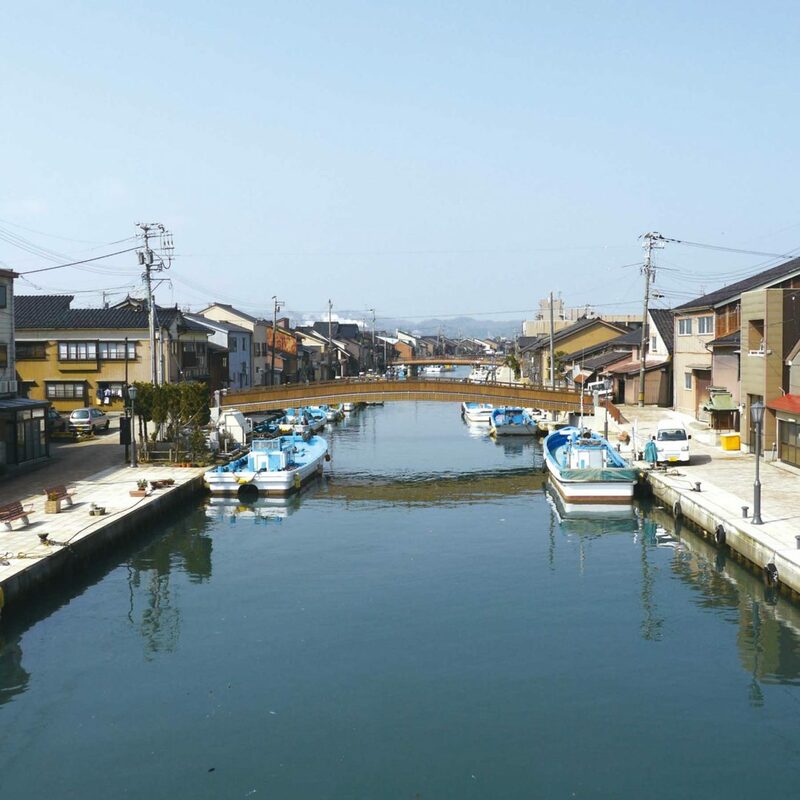 The Uchikawa River runs west from Toyama-Shinko Port, and as a waterway, has had a deep connection with the lives of people here since ancient times. Even today, it is an important waterway in which fixed net fishing boats and smaller vessels moor. Copyright © Shinminato Sushi Academy. All Rights Reserved.